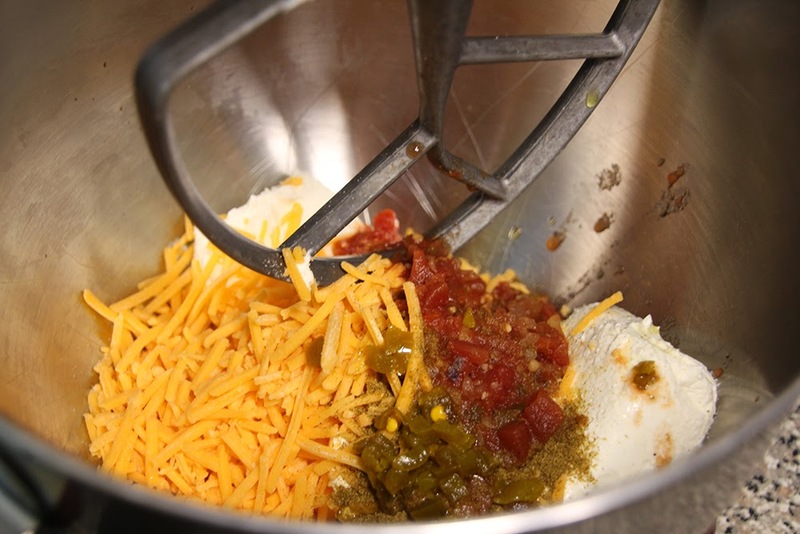 Use a mixer to blend together the cream cheese, cheddar cheese, salsa, cumin, onion powder, and jalapeno. 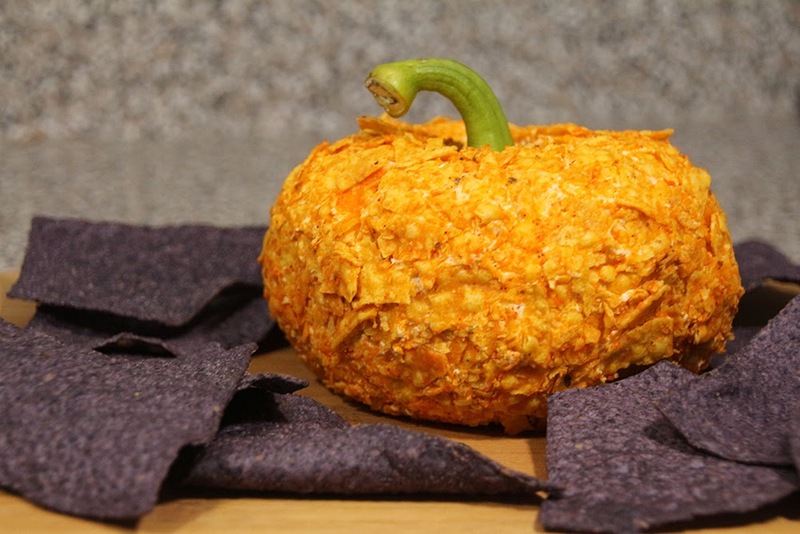 Scoop the mixture onto a piece of plastic wrap and form into a pumpkin-shaped ball. 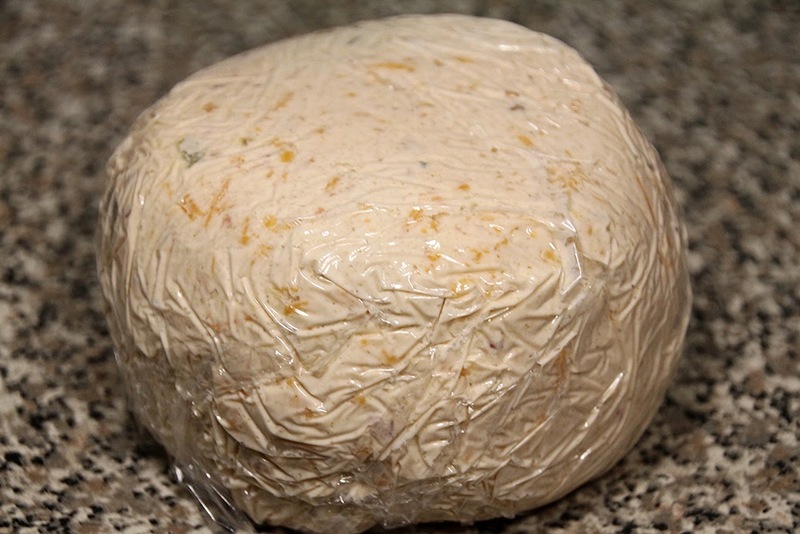 Refrigerate at least 2 hours, or overnight. 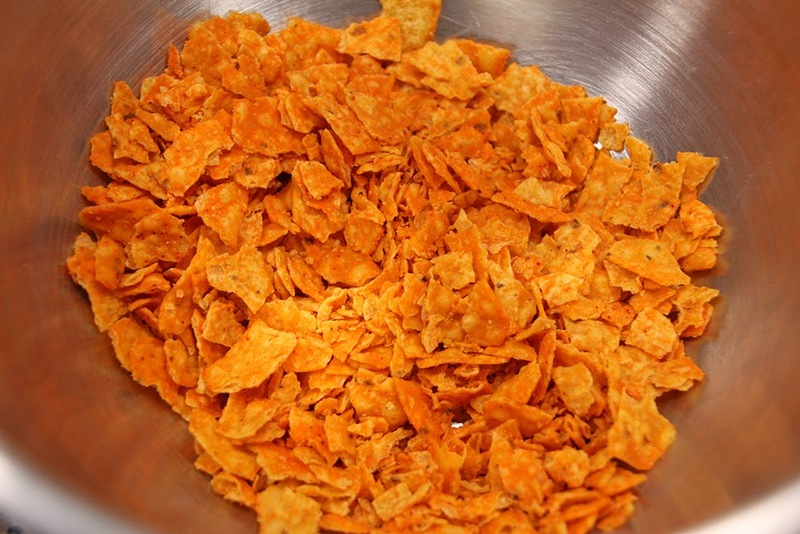 Place the crushed Doritos in a small bowl. 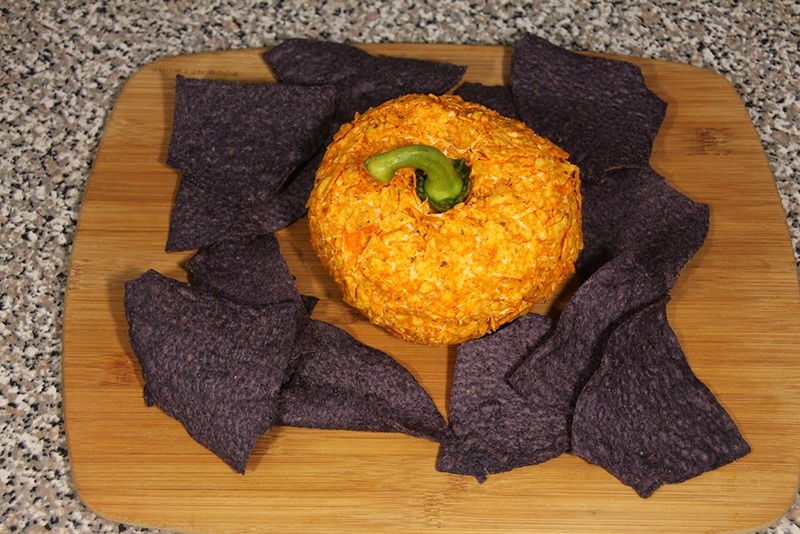 Roll the cheese ball in the Doritos until fully covered. 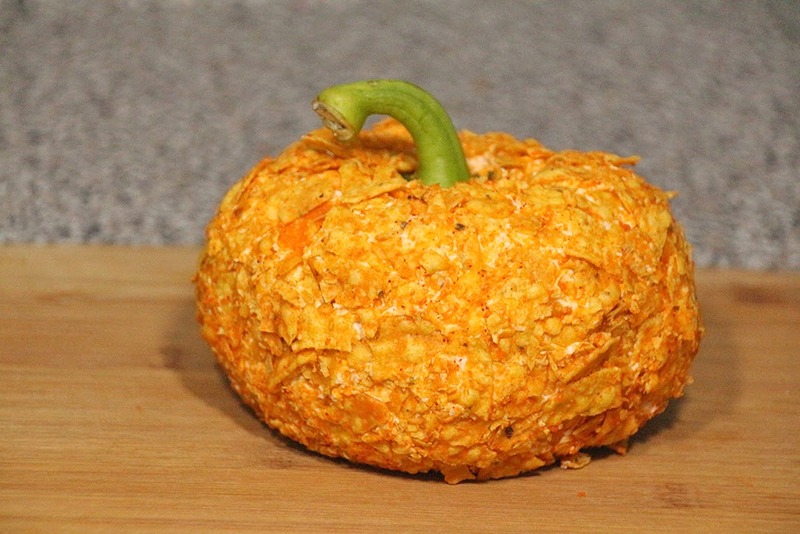 Place the bell pepper stem in the top of the cheese ball. 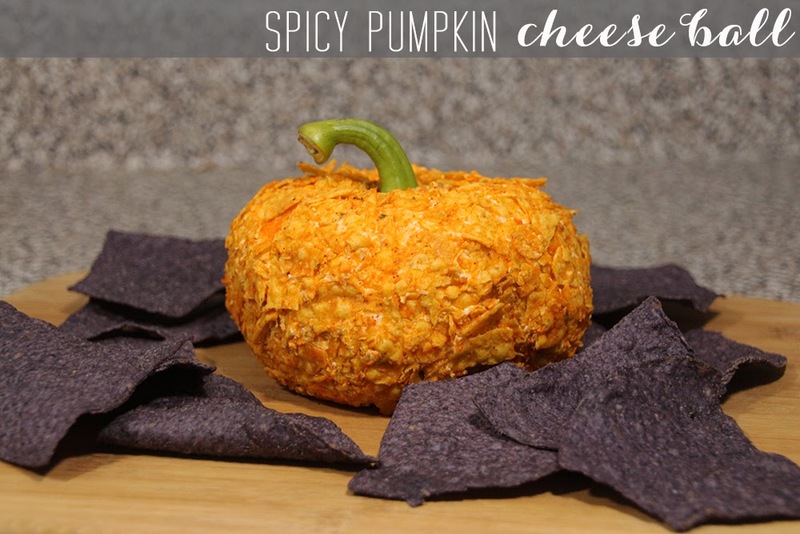 Okay- i MUST make this for this weekend! So delicious and adorable!!! This looks awesome!! Might just be making this for book club on Monday!! this is so cute! who would have guessed, doritos?! 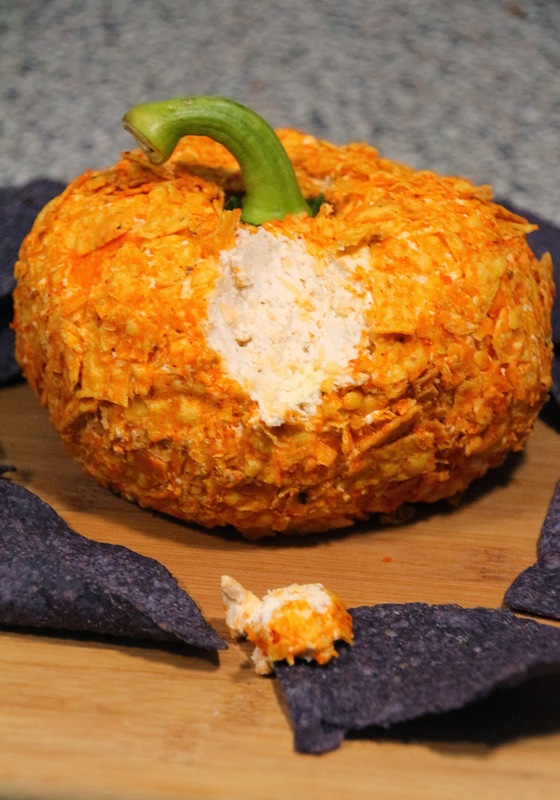 Someone brough this to our Halloween party this past weekend – it was amazing!